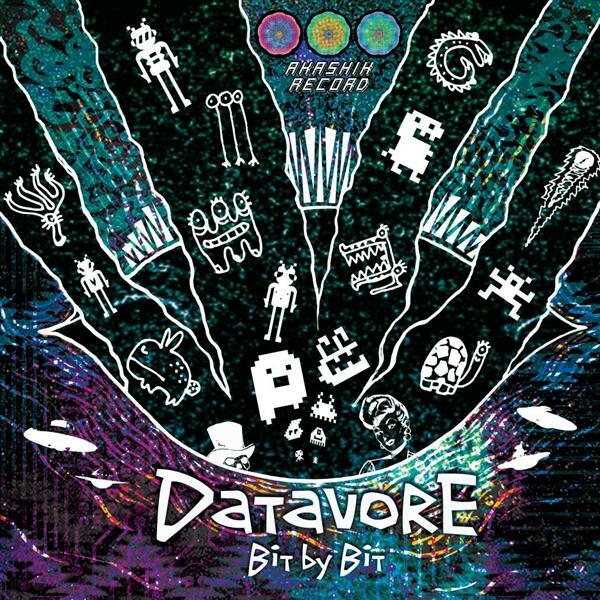 Akashik Record relay servers have received a new transmission, Bit By Bit, the debut album by Datavore, a family of information-loving behemoths from America: CinderVOMIT, Priapizzm, and EkimSkrid. Together they travel in packs, roaming from gathering to gathering, emitting sounds which some observers reportedly find pleasing and danceable. Celebrated the world over as gentle giants, these jovial creatures are as sought after for their UV-reactive hides as for their fantastically twisted nocturnal emissions. BOOM! Me too! Long live coopers studio and datavoooore!